We have Holistic Dentistry practices in Rockville, Maryland . At Natural Dentist Associates, we are holistic dentists. 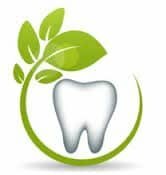 Holistic dentist are also known as biological dentists or environmental dentists and we believe that your teeth are an integral part of your body and your overall health. We understand that your oral and dental health can have a major influence on other disease processes in your body. The primary aim of holistic dentistry at Natural Dentist Associates is to deal with any of your dental problems while working in harmony with the rest of your body. As an holistic dental practice, our mission at Natural Dentist Associates is to provide thorough care, using bio-compatible dental materials, minimally invasive procedures, and recommendations intended to prevent future disease, discomfort, and damage. By detecting symptoms that signify potential problems, our highly trained doctors can address issues before they cause future oral and other health concerns. We have been trained and follow the protocol for mercury amalgam removal and are accredited members of the International Academy of Oral Medicine and Toxicology, known as IAOMT. Dr. Baer and Dr. Tipograph, along with the staff wear special safety masks and remove the mercury fillings with a special suction and air filtration system. Natural Dentist Associates offers metal-free dentistry with all porcelain or resin restorations. We use natural fluoride-free and BPA free materials and offer our patients natural products for their home dental care. Please let us know if you have any chemical sensitivity issues. We also offer compatibility testing. This allows us to make sure the material we use is one that is not reactive with the sensitive patient. Mercury is used as a filling material in dentist offices. What patients don’t know, is that mercury fillings are made up of over 50% of mercury which is the most TOXIC substance on earth. At Natural Dentist Associates, we remove hazardous mercury fillings and replace them with composite white fillings. We use techniques that minimize the harm which amalgam can cause. We also use rubber dams, and high suction evacuation, removing mercury fillings safely. The goal of holistic dentistry is to provide thorough care, using bio-compatible dental materials, minimally invasive procedures, and recommendations with the intention to prevent future disease, discomfort, and damage. A holistic dentist is often referred to as an organic dentist, a green dentist or an integrative dentist. By detecting symptoms that signify potential problems, our team can address issues before they escalate to cause further oral and overall health concerns. At Natural Dentist Associates, we also offer BPA-free fillings, a chemical found in many plastics, and it has negative health and environmental impacts. As an holistic dentist, Dr. Baer seeks to improve his patients’ quality of life with quality dental care. Schedule an appointment Natural Dentist Associates.